You try to buy as local as possible—all your produce comes from the farmers market, the whiskey in your Old Fashioned is distilled down the street, and even your honey is made by Silver Lake bees. But what about that bowl of pasta, that chunk of baguette, or chocolate chip cookie? How local are the ingredients in those? It’s something to think about, and many local chefs, bakers, brewers, and distillers do. They want locally grown wheat and other grains for their creations and products, but there isn’t a lot of wheat grown in these parts. The Tehachapi Heritage Grain Project wants to change that. The group of local farmers—including Alex Weiser from Weiser Family Farms, Jon Hammond, and Kimmie Durham—are starting to plant and harvest heirloom grains in and around Tehachapi, a little more than 100 miles north of Los Angeles. These grains, in turn, go to our local pasta makers, chefs, bakers and brewers, who will then make our favorite ravioli, brownies, and ales with them. It’s a win-win for all. But growing grain takes combines for harvesting and machines for cleaning, among other things, and that, of course takes money. So the group started an Indiegogo campaign, which has less than a week to hit its $75,000 goal, and is holding a few tasty events around town to raise money for the cause. For instance, on December 3rd Manhattan Beach’s Love & Salt will be hosting a four-course collaboration dinner featuring Michael Fiorelli, Michael Voltaggio, and Kelly Whitaker from Basta in Denver. All the proceeds will go towards the Tehachapi grain project. Heritage grain is a growing trend across the country, and because of the demand from local chefs, Weiser and the other farmers were encouraged to bring it back to California. 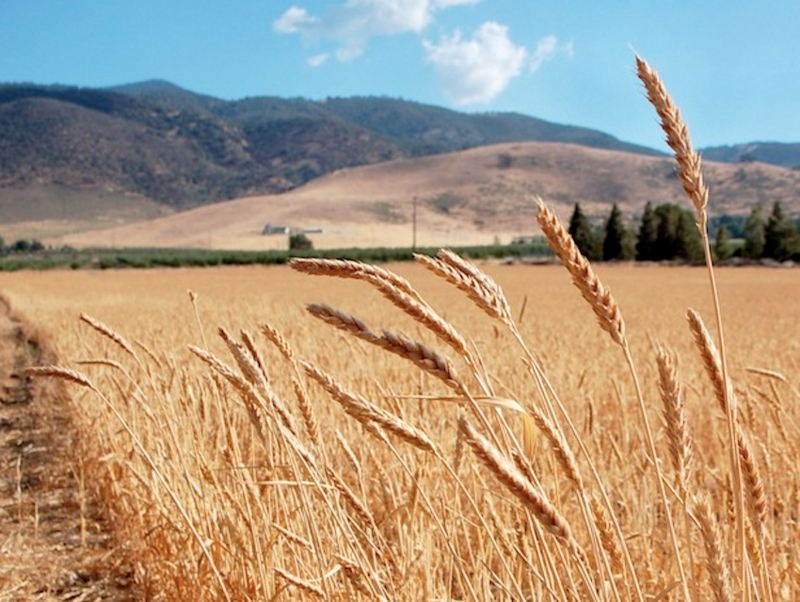 The Kern County area has a long history of grain cultivation—there’s wild rye growing along the roadsides in Tehachapi, a byproduct of fields planted years ago—and it’s the perfect environment for thriving wheat, barley, oats, and rye crops. With a little help from Anson Mills founder Glenn Roberts, who gave them heirloom seeds and a good nudge, Weiser and his farmer neighbors successfully planted a few acres on fallow land. Now they want to plant much, much more. They want to be the Grain Belt of Southern California. For us, the eaters, heirloom grains are important for a number of reasons. They aren’t modified or altered to be disease-resistant, so no GMO talk here; products made with these grains are sometimes easier for gluten-intolerant eaters to digest; and pesticides and synthetic fertilizers aren’t commonly used. They also taste great—you get a sense of terroir in the different flours, just as you would grapes grown here. Whole grains are simply better for you. Some big-name chefs are supportive in many ways, not just by buying and using flour from the wholesome grain. Check out the perks on the Indiegogo campaign, everything from a free Clark Street baguette for a $10 donation, to a an all-star dinner for 20 at Weiser Farm cooked by Steve Samson (Sotto), Daniel Mattern, Roxana Jullapat, Brian Dunsmoor (Hatchet Hall), and Sherry Yard for $10,000. Next articleSo The Salonniere Has Named the 100 Best Party Hosts in the Country, and 10 Are in L.A.